I must reach Nagoya before my train pass expired today. I decided to spend the morning in Gero to visit the Hometown History Museum and Jomon Park. I reached my destination after a 40-minute walk. 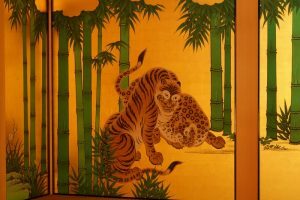 The illustration in the museum is in Japanese. I saw stone tools and earthen wares from the stone and iron age. 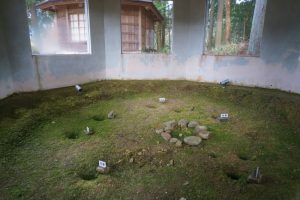 In the Jomon Park, there are a few pit dwellings used during ancient times (Jomon period 14,000-300 BC). The trail to a hill top with a view point was closed. 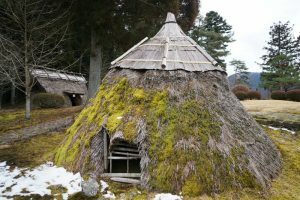 Hence, I walked back to Gero passing by a popular tourist attraction showcasing a dozen of gassho huts removed from Shirakawa-go. I did not need to see the huts as I had been to the village. I returned to the same restaurant and had a sumptuous lunch with a chicken and cabbage set lunch (¥1,000) and a dish of fried trout (¥ 1,100). After a wonderful time in Gero, I took the 2:15 pm train to Nagoya. I arrived at Meitetsu Grand Hotel next to the train station before 4 pm. The location is excellent. A lady at the tourist office suggested me visit the Osu Kannon which history dated back to 1333. 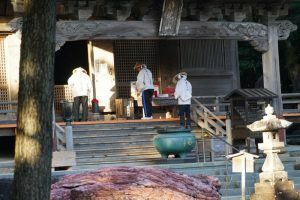 Today, some Japanese would go there to seek blessing. Though I visited it on my last visit, I took her advice. Despite the rain, many worshippers were still at the temple. There was drum beating and chanting. 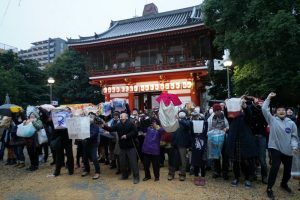 I watched some worshippers standing on a platform and throwing off rice and other cereals. People standing below the platform tried to catch the offering with bags. I spent another hour in the Osu shopping district. I notice more multi-national restaurants and bars have opened since my last visit. I took the metro back to Nagoya station and walked around. Though I was not hungry, I ended up having a kilo of steamed oysters in a can (¥1980) and a beer. I went to bed early. My plane would depart around 5 pm. I therefore had a few hours in the morning to look around. I bought a tourist day pass for 600 which provides for unlimited use of bus and metro inside the city and concession on entry fee of some attractions and eateries. I highly recommend visitors to buy this pass. I decided to visit the Nagoya Castle which was constructed on the orders of Ieyasu Tokugawa in order to secure an important position on the Tokaido road and to ward off attacks from the direction of Osaka and completed in 1612. 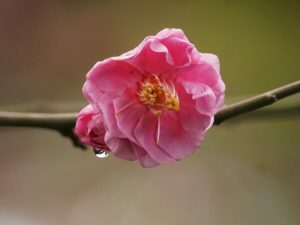 It has been a symbol of Nagoya for over 400 years. The castle was the family home of the Owari lineage of the Tokugawa family. The original buildings except the three corner towers, three gates and most of the paintings on the sliding doors and walls of the Hommaru Palace, were burnt down in 1945. The two keeps were reconstructed in 1959. With the pass, I paid an entrance fee of ¥400 instead of ¥500. I had a wonderful time though the Main Castle Tower is closed for wooden reconstruction. 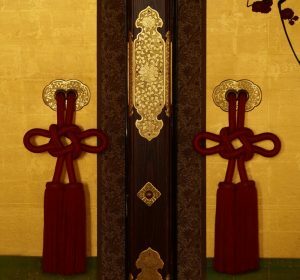 The highlight is the Hommaru Palace which is re-opened after reconstruction from 2009 to 2018 using traditional techniques and materials. 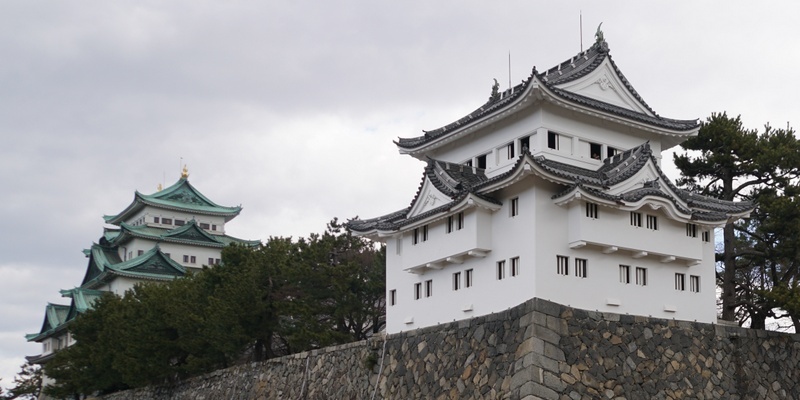 The palace, which is regarded as a masterpiece, the finest example of Samurai-styled Shoin-zukuri castle architecture, is the first castle to be designated a National Treasure. 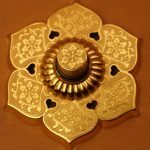 Today, visitors are able to walk through this elegant and richly decorated palace with gold covered walls and paintings by the fame Kano School, the finest artists of the day. I had lunch before picking up my luggage from the hotel. I only took a few minutes to reach the train for the airport. The train departed at 1:31 pm and I arrived at the airport shortly after 2 pm (¥870). Wonderful and effortless! The plane departed on time and landed at the Hong Kong airport before 9 pm. 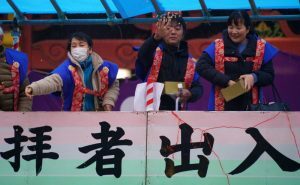 I was home before 10:30 pm ready to welcome the Year of the Pig the following day. 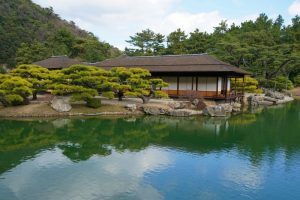 I spent almost three weeks travelling in Shikoku and Wakayama Prefecture by car and a small corner of Honshu by train and bus. In brief I had three weeks of discovery. It is my first driving trip in Japan covering 2,662km in 15 days. 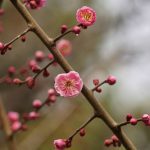 Without Kylie’s kind offer to drive, I would not have discovered the spectacular coast, some secret gems and nice hotels in Shikoku and Wakayama. 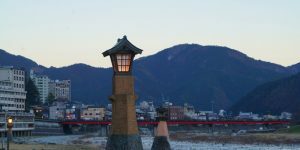 I have been in Shikoku on the 88-Pilgrimage Hero twice visiting all 46 temples in Tokushima and Kagawa and one in Ehime. But this is my first sightseeing trip in Shikoku. With a car, I have been able to discover the best part of Shikoku. My favourites are the Ritsurin Koen, Seto Peninsula, coastline in Kochi, Iya Valley and Niyodo River Valley. 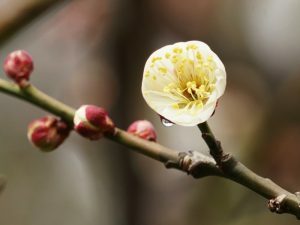 I love to return to the Seto Peninsula to see cherry blossom. On this trip, I visited nine temples namely Temple 24, 25, 29, 32, 38, 39, 46, 47 and 60 bringing the total number of temples visited to 56 out of 88. I discover that a pilgrimage trip should best be undertaken on its own. 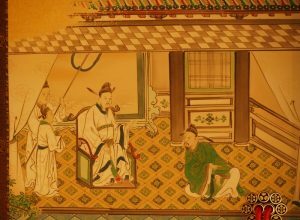 On my last two trips, I lingered much longer in each temple, thinking, praying and reflecting while soaking in the atmosphere. Hence, I remember the temples and my experience more vividly. 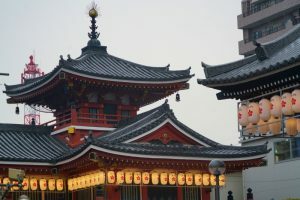 But this time, I did not want to exploit Kylie’s kindness and generosity and would visit temples that are near the main road. 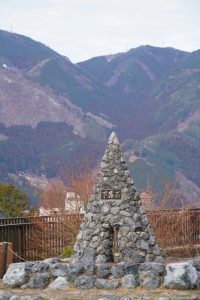 It is not a desirable or respectful way for a pilgrim (though I am not a Buddhist). I hope to return to Kochi and Ehime soon to complete my mission. 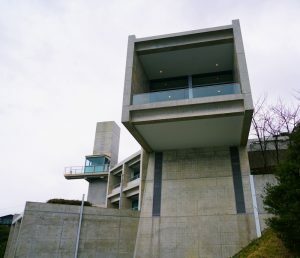 I discover the Toto Seawind Awaji Hotel designed by the world- famous architect Tadao Ando by chance. I had a most wonderful, aesthetic and sensational experience when feeling and finding my way to and around the hotel. I was astounded by the simplicity of the design. I was overwhelmed by the emptiness, spirit and calmness wherever I was inside the building. I was captivated by the harmony of the building and the environment. I look forward to visiting his other major works. I discover the beautiful coast and onsen in Wakayama Prefecture. While on the Kumano Kodo pilgrimage two years ago, I passed through this area by train, spent a night in Nachikatsuura and the New Year Eve in Kawayu onsen, and visited the Kumano Hongu Taisha Grand Shrine on New Year Day. This time, I was able to see the beauty of this region. Shirahama famous for its white-sand beach and onsen, is too touristy for me. But I had many beautiful memories. Watching sunset with the Engetsu Island at the foreground was awesome and fascinating. Watching sunset at Hashigui Rock and Cape Shionomisaki in Kushimoto was unforgettable. The cave onsen in Hotel Urashima was a great experience! 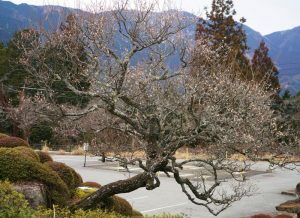 Without planning, I returned to Kawayu Onsen and stayed in Hotel Kawayu Doriya again. A most enjoyable stay! I returned to the Kumano Hongu Taisha Grand Shrine. This time, it was deserted but most enchanting! 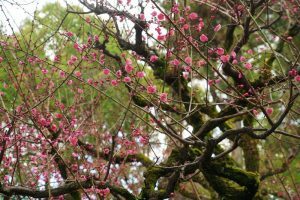 I discover the beauty of Kanazawa in winter. I always find Kanazawa enchanting and bewitching. This time, I had an unforgettable 21 hours in the city. I had a seafood feast in the Omi-cho Market and a hair-cut before walking through empty alleys in the Kazua-machi Chaya District in rain, sleet and snow. 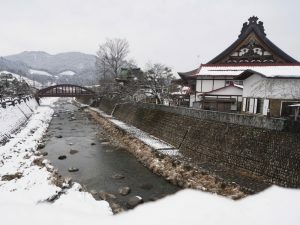 I enjoyed an expensive red-bean soup while taking photos of two young Japanese ladies and watching snow falling in the Higashi Chaya District. I had a nice onsen experience in the hotel with hot spring water from Kagaonsen. I could not have asked for more! 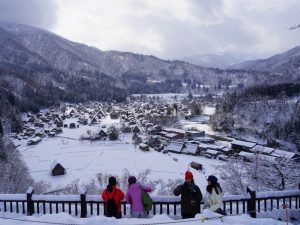 I discover the postcard charm of Shirakawa-go covered in snow. It looks pure, serene and most beautiful. But unfortunately, the tourists spoil the fairyland and my mood. 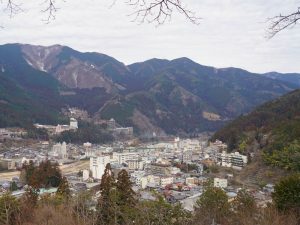 I discover the famous onsen town of Gero. I find the hot spring and relax atmosphere of the town most enjoyable. I fall in love with Hida Furukawa on my first visit (2000?). 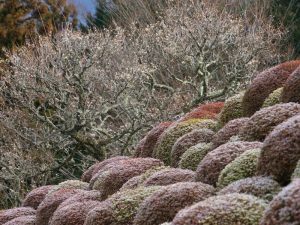 I discover Hida Furukawa in winter is even more charming. I might have come across 20 tourists in three hours (as compared with 300 tourists in Shirakawa-go in two hours). 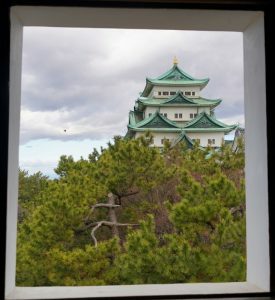 I must have visited Nagoya Castle before. But this is the first time I discover the beauty of the reconstructed Hommaru Palace in Nagoya. The painting and craftsmanship are superb.